Home Truck Insurance Ohio, Michigan, Pennsylvania, Indiana, Kentucky, Tennessee, Georgia, and Florida. Truck Insurance Ohio, Michigan, Pennsylvania, Indiana, Kentucky, Tennessee, Georgia, and Florida. I f you are looking for Commercial Truck Insurance in Ohio, Michigan, Pennsylvania Indiana, Illinois, Wisconsin, Minnesota, Colorado, New Mexico, Arizona, Alaska, Texas, Missouri, Alabama, Kentucky, Tennessee, Georgia, Virginia, West Virginia, South Carolina, Florida, or the State of Maryland you have found the right company! Call 800-998-0662 for all of your Commercial Truck Insurance needs. Pathway Insurance is a leading independent agency offering innovative solutions for companies needing a variety of different types of Commercial Truck Insurance in Ohio and throughout the country. You can request quotes and information with a licensed agent 7 days per week online and 5 days per week by phone. To speak with a licensed agent on the weekends click on our chat button or if the chat system is temporarily not available send us a message and we will get back to you soon! We are an accredited business with an A+ rating by the Better Business Bureau. Directly and indirectly (by means of our referral network) we can provide quotes and coverage for trucking operations in all 50 states. 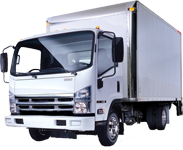 Additionally, we provide truck insurance and commercial automobile insurance for any type of company including new business ventures, and companies with extensive loss histories. Call us at 1-800-998-0662 for any type of Ohio Truck Insurance or use our online quote submit system by clicking on Commercial Truck Insurance Ohio. If you need quotes in other states scroll down to the bottom of this page for companies offering business insurance in other states. Liability Insurance Coverage– Coverage for property damage and bodily injury policyholders are legally obligated to pay due to accidents. This is typically mandatory coverage required by the state or federal agencies dependent upon your specific operations. Uninsured & Underinsured Motorist Coverage – Coverage for injuries policyholders or their employees are legally entitled to recover from other parties not insured or underinsured. Medical Payments Coverage – Similar to medical payments coverage on car insurance policies, medical payments coverage provides compensation for injuries to employees or other persons riding in the truck with your consent. Physical Damage Coverage – Coverage in the event of accidental loss or damage to insured vehicles. Collision, comprehensive, and specified causes of loss coverage form available. A deductible applies for any claims or losses. Motor Truck Cargo insurance – Coverage for freight hauled in the event of an accident, theft, or fire. 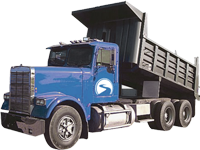 Additionally, debris removal may be provided for loads dumped on roadways or waterways. Motor truck cargo coverage will pay for damage or destruction to the freight carried up to the policy limit. A deductible will apply for any losses. 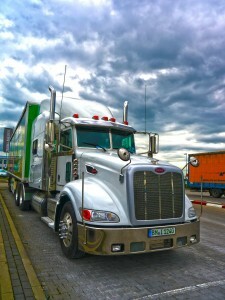 Bobtail Coverage -Sometimes referred to as non-trucking liability insurance. This particular liability coverage is specific for a tractor-trailer while it is not pulling a trailer. On-Hook Towing Insurance – Coverage specifically designed for tow truck operations in the event a tow company is legally obligated to cover damages for a non-owned vehicle due to a collision, fire, theft, explosion or vandalism while said vehicle is being towed or hauled. Garage Keepers Legal Liability – Provides coverage to customer vehicles while in your care, custody, and control in the event vehicles are damaged by fire, theft, vandalism, or collision. 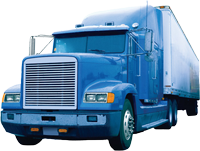 Contingent Cargo Coverage – Cargo insurance for trucking brokerage companies. This type of coverage is not primary, but secondary and comes into play if the primary insurance does not pay. Take time to review all the terms and conditions and exclusions of coverage that apply. Ohio Truck Insurance – Specialist or Generalist Which is Best For Your Company? Do you know why it is better to work with an agency that specializes in Commercial Truck Insurance versus an agency that sells every conceivable type of insurance to customers as you are shopping for Truck Insurance in Ohio or throughout the US? Typically a specialist is one who knows the market better than a generalist and for this reason, you can count on Pathway Insurance to help you find the coverage you need to keep you on the road and in business! Think about it this way – if you needed a heart transplant would you trust your dentist to perform this specialized procedure? Naturally, that’s a silly question. No one in their right mind would choose that scenario including the dentist himself for it’s likely he would fail without that specialized training and experience in heart surgery. Likewise, it’s not a good idea to work with an agency that lacks specialized knowledge in the insuring commercial trucks. An agency that predominantly sells car, home or small business insurance may lack the knowledge you need as you are researching your options for Ohio Truck Insurance. A generalist will also not likely have access to the Ohio Truck Insurance Companies that offer the coverage options you need. On a regular basis, insurance agents solicit our advice on what companies sell certain types of Commercial Insurance for Truckers in Ohio and throughout the country. It’s far better to work with someone that knows the market, would you not agree? For this reason, you can count on us to help you find what you need. Why Choose Our Company for Commercial Truck Insurance in Ohio? Besides the above information shared about the importance of using a specialist versus a generalist. Pathway offers an automatic re-shopping service for all policyholders in the event rates are increased by 5% or more. We are available up until 8 PM to provide certificates of insurance and filings Monday through Friday and up to 5 PM on Saturday or Sunday when using our online chat system. Call us today at 1-800-998-0662 to learn how our agency can help your company secure Commercial Truck Insurance in Michigan, Ohio, Pennsylvania, Indiana, Illinois, Wisconsin, Minnesota, Colorado, New Mexico, Arizona, Alaska, Texas, Missouri, Alabama, Kentucky, Tennessee, Georgia, Virginia, West Virginia, South Carolina, Florida, or the State of Maryland Monday- Friday up until 6 PM EST or use our chat system to speak with licensed agents 7 days per week! If your trucking operation is not doing business in the above-mentioned states we have established referral relationships with a number of companies in California, Texas, Washington State, and Louisiana.